PARTICIPATE — African American Day Parade, Inc.
On behalf of the African American Day Parade, Inc. Board of Directors & Committees, welcome to the application page for the 50th Annual African American Day Parade. Every third Sunday in September the AADP kicks off as the nation's largest African American parade featuring majestic floats, marching bands, community-based organizations, civil servants, performance groups, politicians, fraternities and sororities, unions, celebrities, national figures and many more. Here at AADP, we are always on the lookout for the best floats, most polished marching organizations and the most entertaining marching bands, drum and bugle corps, community bands and performance groups. We are excited to review this year's applications and showcase the absolute best of the African American community as we celebrate African Americans contribution to Politics & Government. All groups and organization must be dressed in uniform attire to best represent their group and the African American community. In what capacity do you represent the group. Note: All leaders are legally responsible for their participating groups. Please describe your group, its mission and/or it’s years participating in the African American Day Parade. This will help us accurately describe and represent your organization at the reviewing stand and during media broadcasting. Please provide the number of participants in group Note: Contact person listed is responsible for checking in groups with AADP Coordinators on the assigned line-up location. *Please note that organizations are limited to one (1) vehicle in the line march, no larger than an SUV. For larger vehicles, organizations are encouraged to request a float. Flatbeds, trailers, pickup trucks and U-Hauls are prohibited. Will you have motorcycles? *If yes, how many? Note: All drivers and motorist must provide registration and insurance on parade day. 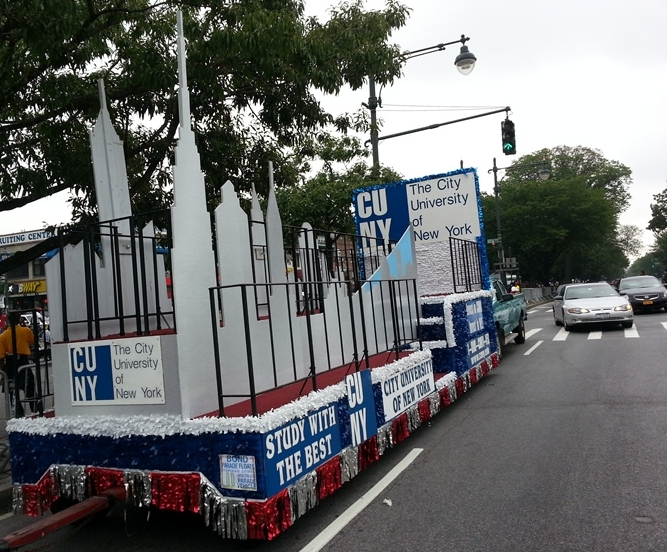 Will you have a float in this years parade? Floats are a great way to exhibit cultural pride in a grand way! I hereby acknowledge that I have read the rules and guidelines of the African American Day Parade, Inc.. I am making a commitment to obey the rules and guidelines as specified. I understand that the parade or its Board of Directors may remove any participant on the day of the parade for cause, including but not limited to failure to follow the directions listed. I hereby grant permission to the African American Day Parade, Inc. and those authorized by the Parade to interview, photograph, film, videotape, audio record or use other means of capturing my image or voice for all Parade related events, activities and promotions. Thank you!! You have submitted your application to participate in the 50th Annual African American Day Parade. Please submit donation by Mail or Online if you would like. Applications will be reviewed by AADP Board of Directors and selected participants will receive an email with an Official Invitation and lineup order. 1. All participants must line-up in the block specified in invitation email. 2. Participating groups and organizations should have coordinated attire/ uniforms/ costumes. 3. All participants must embody performance qualities such as smiling, waving, enthusiasm, and pride. 4. NO THIRD PARTIES will be allowed to march with Original group that signed on the Registration. 5. All participants must promote African American heritage, culture and pride. Groups/participants that do not reflect the culture may not be allowed to participate in the parade. 6. All participants must reflect a respect for general public decency and moral values, including a dress code of a professional or cultural nature. All participants must refrain from the use of profane or offensive language, aggressive behavior, and alcohol and/or drug use. 7. No political or electoral advertisement or signs may be displayed by any contingent. 8. Participants with children and seniors are encouraged to bring water & snacks; however participants marching with coolers must walk on the far left side of the parade route. 9. All participants must adhere to the instructions of Parade Coordinators/ Officials & Volunteers during the parade. • Performance groups and marching bands may NOT stop to perform in the Parade Route. Groups must DANCE & MOVE. • Group may come to a complete stop to perform at 125th Street Reviewing Stand for a 60 second routine. • Performers must wear appropriate and neat attire that will remain secure along the parade route. • Tights Must be worn with leotards and shorts. • Organizations are allowed one (1) vehicle, no larger than an SUV. Flatbeds, trailers, pickup trucks and U-Hauls are prohibited. • All motorcyclist must line up in specified block and provide license and registration. Stunts are prohibited. • All Floats must be ordered through the African American Day Parade, Inc.
• All marchers must remain lined up on sidewalks and out the way of Floats & other vehicles. • All participants on Floats must be actively engaged and dressed in uniformed attire to best represent group/organization. NOTE: Designs that exceed the budget allocated for custom floats will be subject to additional cost.